The dispute over the design of Brexit has plunged the government of Prime Minister Theresa May into a deep crisis. According to traders, scenarios such as a second referendum, new elections or a tough Brexit have become more likely. Above all, investors fear negative effects on the European economy. The ongoing dispute over the Italian budget also causes them a headache. So the headlines, once again, provide a distraction from the markets as trader look to see how this will affect their positions. I will admit that I get a bit caught up with the media frenzy sometimes. When it’s like this, I tend to prefer to just watch the price action and take a back step. For example, take a look at the hourly chart below. Despite all the recent price action, we still lack any meaningful signs of a trend. We are trapped in a range and we are forming this range on declining volume. 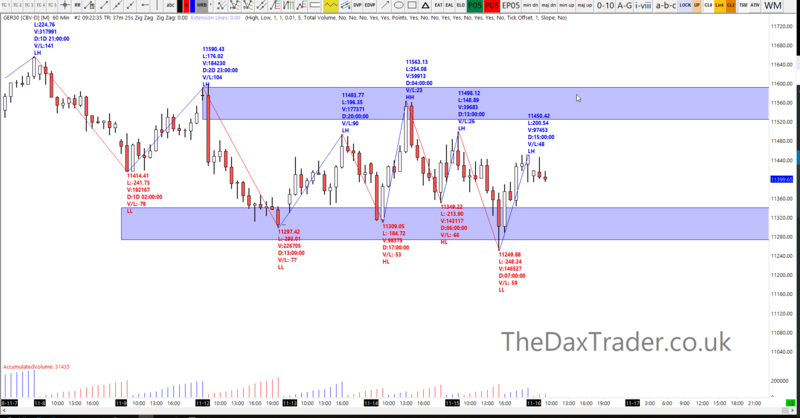 So perhaps we can mark the range bounds out on our charts and play it. What’s the oldest trading cliche in the book? Buy low, sell high. 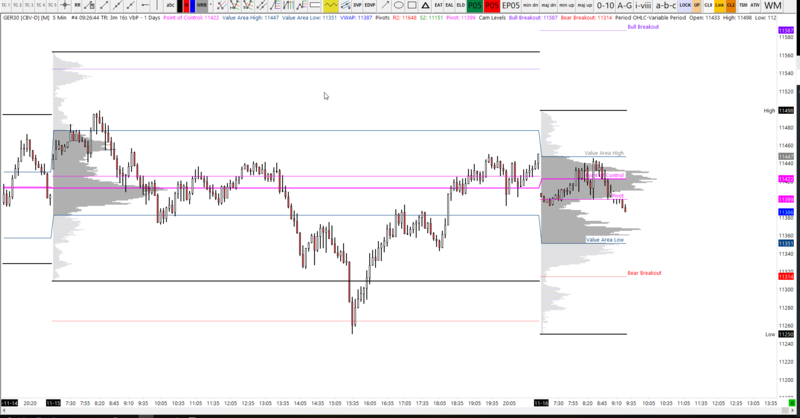 Yesterday, we opened up in the value area of Wednesday before piercing both the value area high and the value area low within the first couple of hours of trading. The point of control kept price in line until the afternoon session where we saw a break of the Werdnesday low, before a recovery back towards the point of control again. Today, the value area high has already provided some resistance to the price action. One interesting observation is the gap (today and yesterday), they seem to be closely related. Another interesting point is the POC today is similar to the POC of the last couple of days. Today it is 11422. The profile today is similar to a double distribution, suggesting that the price action can cut through the low volume area and find support at the lower high-volume-zone, towards the value area low.